Ushuaïa has announced their latest concept party titled Limited Edition, which is set to welcome top EDM acts including Axwell, Ingrosso, DJ Snake, Hardwell and more through summer 2017. Kicking off on Wednesdays from 28th June through to 6th September, with a different headliner each week, other confirmed acts include sets from Alesso, Diplo and Major Lazer Soundsystem. 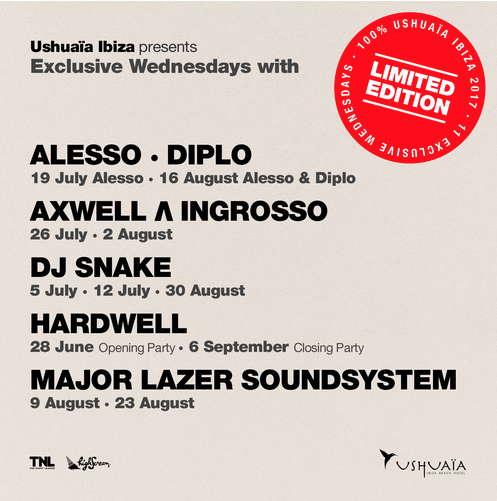 Check out the full line-up for Ushuaïa's Limited Edition residency below.